It's that time again. Voting for the Arizona Best of 2012 has commenced. 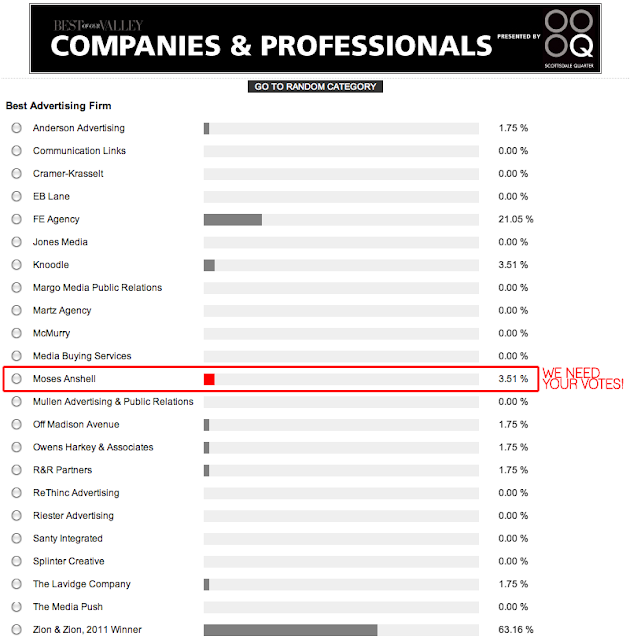 The agency that won last year no one has ever even heard of, so we have stepped up to take our rightful place as the Best Advertising Agency in Arizona. You can vote once a day, every day. Please click this link to vote. We would be grateful if you could click to vote and then share this with your friends as well. Do you have ideas in how to get others to vote? Let us hear them! Over the next few weeks we will be sharing pictures of how we get people to vote.